Sea-level rise, erosion and coastal flooding are some of the greatest challenges facing humanity from climate change. 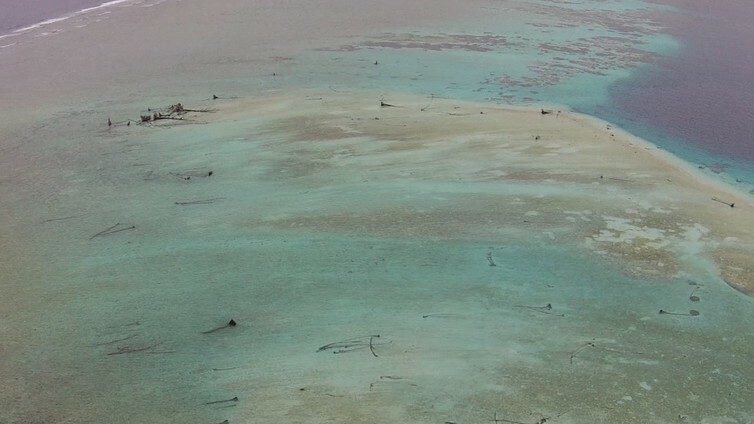 Recently at least five reef islands in the remote Solomon Islands have been lost completely to sea-level rise and coastal erosion, and a further six islands have been severely eroded. These islands lost to the sea range in size from one to five hectares. They supported dense tropical vegetation that was at least 300 years old. Nuatambu Island, home to 25 families, has lost more than half of its habitable area, with 11 houses washed into the sea since 2011. This is the first scientific evidence, published in Environmental Research Letters, that confirms the numerous anecdotal accounts from across the Pacific of the dramatic impacts of climate change on coastlines and people. Victoria’s Labor government last asked the Essential Services Commission to assess the value of distributed generation. After an allegedly faulty start, the ESC has produced a report that delivers a landmark shift in regulatory thinking, even if the solar industry no doubt thinks it could and should go further. Australian smart energy solutions start-up Redback Technologies has released its second generation of smart hybrid and grid tied inverters that it says reinforces the business case for adding smart technology before over-investing in more hardware. While thousands, and eventually millions, of households are looking at battery storage options to maximise their use of rooftop solar installations, particularly in the face of declining feed-in tariffs, Redback argues that the most effective way to do this is to use smart software to maximise “self-consumption”. By dousing small, regular fires, forest managers are creating the conditions for cataclysmic events, scientists have said. Fires in temperate forests are generally increasing in size and area. This is partly because of climate change. Fire seasons in many parts of the world are getting longer and drier. But equally important in the temperate forests of Australia, North America and the Mediterranean is the way in which we manage fire and forests, said the University of Michigan’s Paige Fischer. The oceans are heavily overfished. There is some argument among scientists, observers and stakeholders over the degree of overfishing, but all agree that current practices are unsustainable. Some barriers to sustainability are technical. Marine ecosystems are complex and changes in fish population dynamics are hard to predict, so it is difficult to know exactly how management measures will affect fish stocks. However, the greatest challenges in fisheries governance are economic and political. AUSTRALIA – Queensland’s Brigalow Belt is among Australia’s most significant biodiversity hotspots. Extending over an area of 36.4 million hectares from Townsville down into New South Wales, it was famously where the explorer Ludwig Leichhardt travelled, prickly pear was vanquished, and the now-extinct paradise parrot once lived. Although the region contains diverse ecosystems, from dry vine scrub to grasslands, it is named after the species of tree that once dominated: the brigalow (Acacia harpophylla). This unusual, long-lived acacia with its dark, fissured bark and distinctive silver leaves forms dense woodlands, home to unique and threatened plants and animals. Before clearing, brigalow-dominated ecological communities covered an estimated 7.5 million ha within the Brigalow bioregion. But those vast brigalow woodlands are no longer here. A final batch of 15 western quolls has been released in South Australia’s Flinders Ranges in an ambitious program to return the native marsupials to the region after an almost 150-year absence. Western quolls once roamed 80 per cent of Australia but their habitat has been reduced to the south-western corner of Western Australia. The global green bonds market will hit a record $70 billion this year, according to an estimate from Moody’s Investors Services. China is forecast to dominate the green bonds market, which is expected to drive the total issuance to an all-time high. The green bonds market, which drives investments in clean energy and environmentally friendly projects, had its best quarter ever in Q1 of 2016 with $16.9 billion worth of bonds being issued. Amazon and eBay appear to have openly broken the law by hosting listings to ship banned invasive species to the UK, the Guardian can reveal. Both eBay and Amazon have previously been criticised for hosting ivory traders, but the UN Convention on Biological Diversity (CBD) rates invasive species as a more significant threat to biodiversity than poaching for animal parts. In February, the CBD said there was an “urgent need” to control the vast, unregulated network of online traders who buy and sell these pests across the globe. Tourism operators have broken their silence about the worst crisis ever faced by the Great Barrier Reef, with more than 170 businesses and individuals pleading with the Australian government to take urgent action to tackle climate change and ensure the reef survives. Many tourism operators in Queensland have previously been quiet about concerns for the reef, fearful that speaking about the mass bleaching event would turn tourists away, lowering their incomes in the short term. NEW ZEALAND – The global demand for organic milk has been dramatically underlined by Fonterra’s opening 2016-17 season forecast for its organic suppliers of $9.20 per kilogram of milksolids. The price is a contrast with the present farmgate price for conventional farmers of $3.90 per kg/MS. In the Netherlands, there are signs that the big ideas and lofty ambitions to accelerate the transition to a circular economy, which is regenerative and restorative by design, are being put into action. For the first half of 2016, the Netherlands will hold the Presidency of the Council of the European Union, and the country has signalled its intention on playing a role in the wider transition to a circular economy, which has been further incentivised by a European Commission that passed a circular economy policy package in December 2015, clearly signalling that the EU views the circular economy as the way forward for business, society, and the continent’s wider economy. AskNature: How can we design better packaging? Every day, postal workers deliver millions of packages through the mail, trucks full of produce are transported around the globe and billions of dollars worth of packaged products are created, bought and sold. Packaging is a ubiquitous, necessary aspect of modern consumer cultures. It keeps our products safe, clean and intact. Yet over time, much of this packaging leads to waste and pollution. Isn’t there a better way to package the products and services we use every day? If we look to nature, there are signs that the answer is yes. This collection aims to explore some of the varied ways in which nature designs and develops life-friendly packaging. AUSTRALIA – The New South Wales Government will refund 10 cents for cans and containers under a scheme aimed at cleaning up the state’s beaches and parks. The South-Australian-style Container Deposits Scheme (CDS) was proposed in the lead-up to last year’s state election, but widely opposed by the beverage industry. Is this Christchurch’s most plastic-polluted beach? Tiny particles of plastic are washing onto Canterbury shores, polluting beaches and threatening fish. A study published in the New Zealand Journal of Marine and Freshwater Research investigated sediment samples from 10 locations in Canterbury in 2013. Conservationists have launched a global campaign asking the public to help tackle the illegal trade in wildlife. They have developed a smartphone app that allows people to submit images and data of suspicious items on sale, possibly helping enforcement agencies. Can Chevron, ExxonMobil and BP be held accountable for the vulnerable communities most affected by climate change? It’s a question a legal case in the Philippines could answer. Last month, lawyers for the petitioners met with the Commission on Human Rights of the Philippines (CHR), a constitutional body tasked with investigating human rights violations. Their goal was to identify expert witnesses for a hearing into the liability of 50 of the biggest fossil fuel companies for violating the human rights of Filipinos as a result of catastrophic climate change. As seas rise, as floods and droughts become more extreme, as crops fail and as storms intensify, the world will increasingly face a new challenge – climate refugees. In the US, witness the recent plan by the federal government to resettle a Native American tribe before their Isle de Jean Charles home in Louisiana vanishes underwater… Some scientists already argue that the hundreds of thousands of Syrians fleeing their war-torn country are as much refugees from climate change as from conflict, because of years of climate-related drought. And sadly, this looming problem is not a surprise. Way back in 1988, I represented Louisiana on a global warming task force of the National Governors’ Association. Even then, the sobering effects of increasing concentrations of carbon dioxide were clear. Disagreement among nations means no carbon emissions targets have been set for international shipping, but voices from within the industry are calling for global curbs to be set soon, before countries or regional blocs take matters into their own hands. The shipping sector, like aviation, was excluded from any target cuts under last year’s Paris climate deal. Police have arrested 66 people in anti-fossil fuel protests in the Newcastle, home to Australia’s biggest coal export port. Hundreds of kayaks and boats blocked the entrance to Newcastle harbour in an attempt to stop coal ships from leaving or entering. Another group blocked train tracks used to transport coal on the Sandgate Bridge in the city’s north west. The protests are part of several anti-fossil fuel actions happening across 12 countries. AUSTRALIA – With the election underway it’s time to try to make sense of the policies. To help you navigate the thickets of coverage, The Conversation’s editors have produced this guide to key policy areas. Drawing on analysis from our academic authors, it explains what we know so far – and what we need to find out. AUSTRALIA – NSW “is not Queensland” when it comes to a controversial overhaul of land clearing laws, the state government has insisted, while promising to reverse decades of biodiversity decline. Announcing laws that will give greater flexibility to farmers, the government said they would not result in broadscale clearing witnessed when Campbell Newman’s Queensland government overhauled its regime. AUSTRALIA – CSIRO plans to close its ice lab and cease key Antarctic science activities, moves that scientists warn will damage Australia’s international partnerships and run counter to a new $2 billion-plus government plan for the region. Staff in CSIRO’s key climate science units within its Oceans & Atmosphere division will be told as early as Monday where the intended axe of 74 jobs will land, according to a leaked union document obtained by Fairfax Media. NEW ZEALAND – Nasty gasses from cow burps and farts are bad for the planet, but if you take small steps in the right direction you can help manage climate change. That is the gist of message contained in a video starring 20 primary school students from Makauri School Gisborne – and so stellar was their performance that the “boss of New Zealand” John Key had to sit up and take notice. New Zealand’s environmental performance will come under scrutiny from the Organisation for Economic Co-operation and Development (OECD) next week, with freshwater management in the spotlight. The environmental review team from the 34-nation Paris-based organisation is visiting the country for the first time since 2007. The Ministry for the Environment said the purpose of the review was to identify areas where New Zealand’s environmental performance could be improved.